How one of the smallest countries in Africa had their biggest dreams come true. 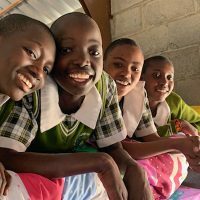 Learn about a center in Kenya that rescues Maasai girls in dire situations, and how Maranatha is helping. Join us for an inspiring weekend celebrating missions on September 20-21, 2019! This summer, bring your kids to Africa for a missions experience they'll never forget. Build new school classrooms at the Kiutine Adventist School in northern Kenya. 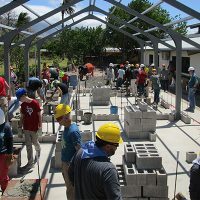 Join other young adults, ages 18-25, on an adventure of a lifetime as you help build a new school campus! You’re invited to Maranatha’s annual convention event, September 20-21, 2019, in Sacramento, California. This year, we’ll be celebrating Maranatha’s 50th anniversary with inspiring stories of our history, information on the impact of this work, and a look at what’s coming up next in the mission field. Christian Edition will be our musical guest. Sabbath lunch is provided with your free registration. Everyone is welcome to join us for this special weekend! Give your church or school the adventure of a lifetime by organizing a mission trip through Maranatha! We’ll help you organize an extraordinary service experience for your group. Thousands of people around the world need our help, and we cannot do it without you! 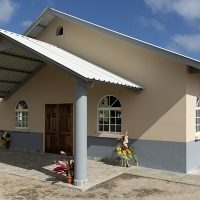 Make a gift to Maranatha’s mission and help to build a church, a school, and a life!